Rhythm is a central figure in the music of Vic Hennegan. 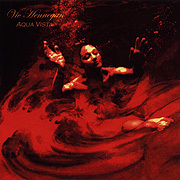 His Aqua Vista (52'11") combines influences from the worlds of Prog, Techno, New Age, Ambient, Space, Electronic and World Music into a most distinctive work. Performing with the confidence of the musically well traveled, and mixing his experiences into nine vivid sonic statements, Hennegan's exuberance is contagious. Electro-ethno percussion pulses alongside a synthetic bassline running in echoed syncopation. Rounded vintage synth tones bend and step boldly through key changes amidst soaring angelic voices. It is here that ethereal tendencies and a bold melody driven vitality converge - and mirror this artist's inner life. As contemplative as it is celebratory, Aqua Vista crosses many levels and degrees of energy. Hennegan renders his Electronic Music in a new light - which he refracts into many new angles.